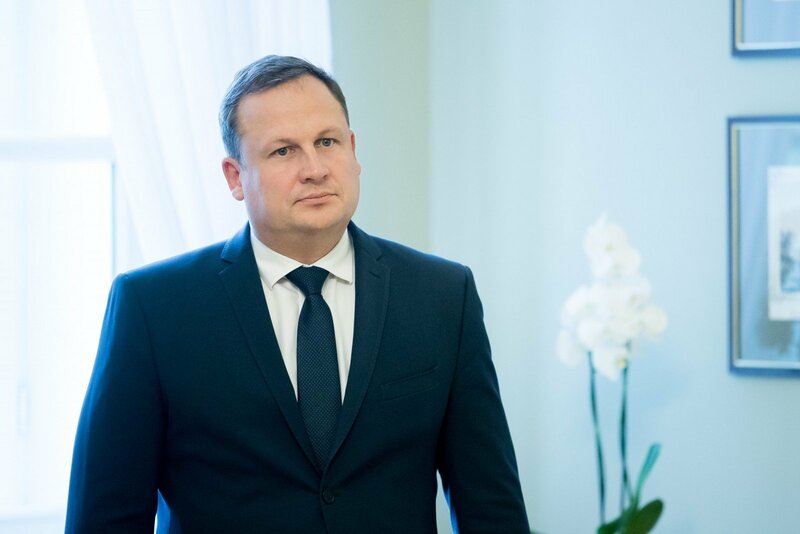 Prosecutor General Evaldas Pasilis on Thursday turned to the parliament with a request to revoke the immunity of the ruling Lithuanian Farmers and Green Union's MP Naglis Puteikis in a slander case. "According to the finding of the Vilnius court, a claim has been received in the court, asking to find Puteikis guilty of slander, impose the penalty stipulated by law and him to pay 15,000 euros in non- pecuniary damages and cover all judicial costs," said Pasilis. After the prosecutor's address, the parliament formed a commission to propose a resolution on whether the prosecutor general's plea should be satisfied. The commission will be headed by Audrys Simas of the LFGU, with the conclusion expected by Sept. 29. In the last term, the parliament already examined a call from prosecutors, however, then disagreed to allow bringing the MP to justice. An analogous request was filed with the parliament of this term. Puteikis is charged by Kristina Apanaviciute-Sulikiene who maintains that the MP slandered her father and undermined her reputation in Laisvas Laikrastis weekly newspaper, thus giving a wrong impression about her family, which caused harm to her and her family members. Apanaviciute-Sulikiene described as slanderous information statements published in a 2012 publication, which referred to the applicant's father as a KGB agent; also saying that the newspaper Karstas Komentaras where she worked had been influenced by the State Security Department via the president's adviser. Puteikis pleads not guilty, saying the newspaper had misquoted him. Under the Constitution, an MP cannot be prosecuted, detained or have his freedom restricted in other ways without a green light from the parliament.